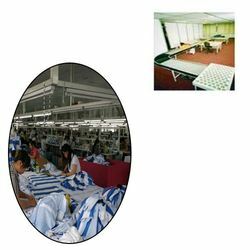 Prominent & Leading Manufacturer from Jalandhar, we offer pu conveyor belts for textile industries. We have a wide range of Light Duty PU Conveyor Belts or Polyurethane Conveyor Belts for various applications in Packaging, Textile. Surface: Smooth, Checkered (Diamond), Rough etc.